Use a new funnel each time you add oil to your aircraft. No more oil mess in the cargo compartment. Just use it and throw it away. 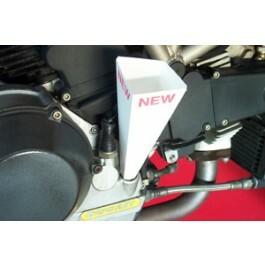 Is very useful when filling oil on small engine airplanes, cars, boats, motorcycles etc. Can be used with other fluids such as water, glycol, hard to clean fluids etc. Saves time compared to using a conventional funnel due to no cleaning. By folding the small end in the creases, the opening can be made smaller, or cut it to make it bigger. Because of its shape and size, it can be used in tight locations. Made out of thick biodegradable paper board which makes it rigid and easy to handle. Stores flat, clean and dry in a zip lock bag. Ten funnels per bag. Folds up ready to use instantly. Takes little space when stored due to its flat profile. Reduces the risk of contamination because a new clean funnel is used for each application. Made in USA. Also great for hard to clean fluids like resins and paints. Made out of thick paper board. Stores flat, dry and clean in a zip lock bag. Folds up ready to use instantly. Reduces the risk of contamination. They are 7" tall, the big opening is 2 3/8" square and the small opening is 1/2" square. Sold in 10 pack bags.